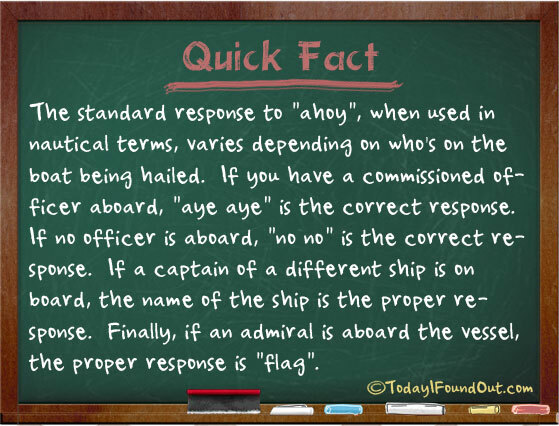 The Appropriate Nautical Responses to "Ahoy"
The standard responses to “ahoy”, when used in nautical terms, vary depending on who’s on the boat being hailed. If you have a commissioned officer aboard, “aye aye” is the correct response. If no officer is aboard, “no no” is the correct response. If a captain of a different ship is on board, the name of the ship is the proper response. Finally, if an admiral is aboard the vessel, the proper response is “flag”.